The Audibel network of hearing professionals have always done what’s best for their patients, from day one. In fact, the origin of the Audibel network actually stemmed from a group of hearing professionals and their resistance to alter their personalized offerings to their patients. This June we want to share the history of how Audibel got started and what that origin says about the patient-focused principles and values the Network holds today. About 13 years ago, an established group of hearing professionals were operating smoothly in their day-to-day drive for helping to provide better hearing for area residents. These many hearing practice owners operated under franchise agreements to their betterment in practice development and hearing aid technology support. Though, one day it all changed. New concepts for how hearing care should be provided were being enforced by the franchiser. For many, it was in direct conflict with the way they had organized and staffed their practice’s to build relationships with their hearing care patients. While the details of these new concepts aren’t so important today, the secret meeting that many of these hearing practice owners took in response are of great significance. Around the same time, Starkey Hearing Technologies’ Owner, Bill Austin, was preparing for a hearing aid mission in Central America where he and his dedicated team would be providing hearing care for those less fortunate. Just before leaving to take off, Bill was contacted by one franchisee whom informed him that many of these established hearing care providers were now left without a hearing aid manufacturer partner to rely upon. Being one that can readily turn negative situations into positive situations, Bill postponed his mission work and flew out to Atlanta for a late night, unannounced meeting. The mutual respect among these many dedicated hearing professionals and Bill Austin made the creation of a new network an easy conversation. Audibel, as it was to be called, would provide the hearing professionals with top-notch hearing aid technology and business development support. In return, these hearing professionals provide the optimal level of hearing care for their area residents. As you can see from this account, the patient has always been at the center of how Audibel Network hearing care practices operate. Since its origin, the Audibel network has grown from 32 to 185 passionate hearing professionals today. 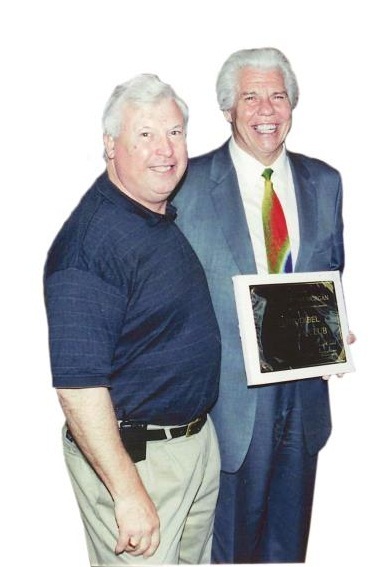 We hope an Audibel provider can give you or a loved one the hearing care they deserve and has occurred with so many already across the country, all as a result of this spontaneous meeting 13 years ago.